You can find my full Curriculum Vitae (CV) here. October 2011 - September 2014: Graduate studies at the LPTHE. Ph.D. awarded by Université Paris Diderot-Paris 7 with the highest honors (mention "très honorable avec les felicitations du jury"). October 2009 - October 2011: Master degree in Physics at the University of Milano (110/110 with honors). October 2004 - October 2009: Bachelor degree in Physics at the University of Milano (110/110 with honors). Septer 1999 - July 2004: High School diploma at Liceo Scientifico Francesco Severi in Milano (100/100). October 2018 - current : post-doc in the theory group of the Laboratory for Particle Physics (LTP) at the Paul Scherrer Institut (PSI) in Villigen, Switzerland. October 2014 - September 2018: post-doc in the theory group at the Deutsches Elektronen-Synchrotron (DESY) in Hamburg. September 2012 - December 2012: Three months internship at Wolfram Research Inc, Champaign, IL, USA. Summer 2010: Summer student program at CERN. 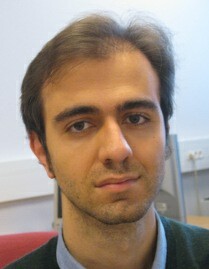 2008 - 2010: System administrator of the Laboratorio Calcolo e Multimedia and of the theoretical group computing farm. I contributed to the Gentoo Linux project in the form of various ebuilds and eclasses. You can download my public GPG key here.